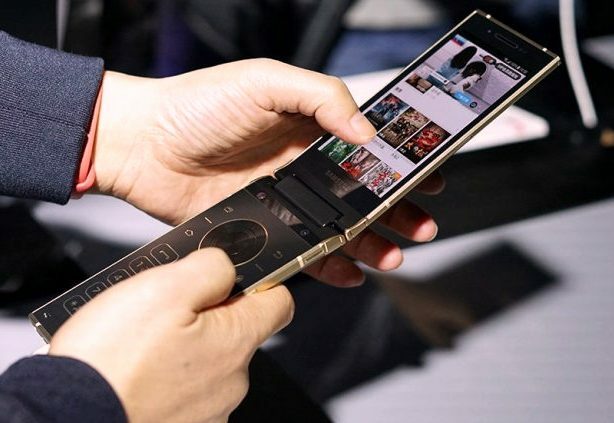 Samsung has announced W2018 (SM-W2018 ), its latest premium Android Flip phone in China. It has dual 4.2-inch 1080p Super AMOLED displays, is powered by Snapdragon 835 processor with 6GB RAM and has a 12-megapixel rear camera with f/1.5 or f2.4 aperture, PDAF, 1.4μm pixels, OIS. It also comes with dual-pixel auto-focus and optical image stabilization and 5MP front camera f/1.9 aperture. Samsung Electronics Greater China Vice President Yan Zaixun said at the conference that this year marks the 25th anniversary of Samsung’s entry into China. 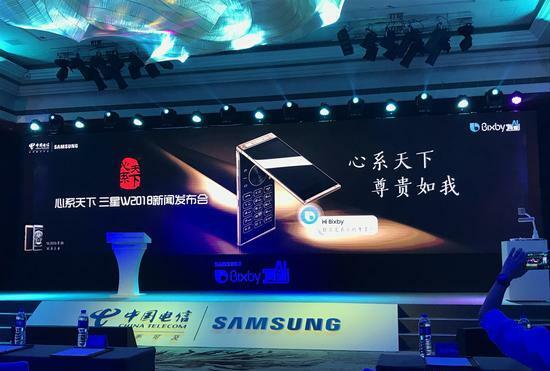 The Samsung W2018 is the first flip phone with Bixby on board, and Samsung proudly announced that the AI assistant now supports Chinese language. The Samsung W2018 has a 4.2-inch full HD AMOLED front display, and a 4.2-inch full HD inner display runs on Android 7.1.1 (Nougat). As retro touches that make me nostalgic as I type them, it has a directional pad and a number keypad. There’s a fingerprint scanner beside the rear camera, like other Samsung models, and a Bixby button for voice assistance. 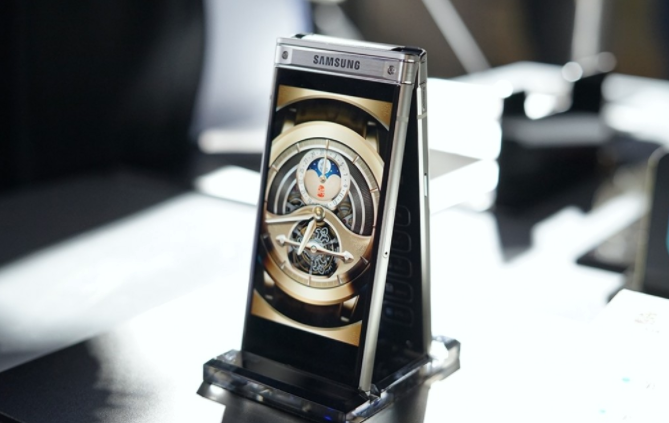 It comes in gold and platinum in a metal-and-glass body protected by Gorilla Glass. 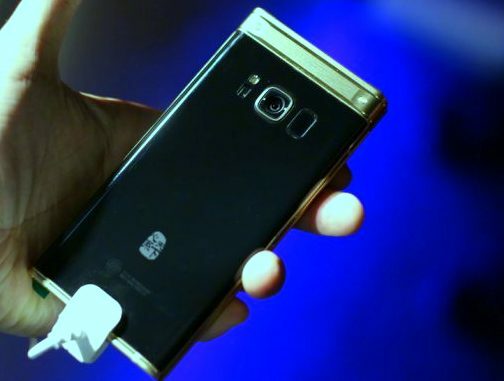 The Samsung W2018 is offered in Black , Silver and Gold, but there are also limited edition units in Gold and Silver. The basic version costs the mind-blowing price in china at CNY15,999 or more than €2000/US for $2400 at JD and TMall.